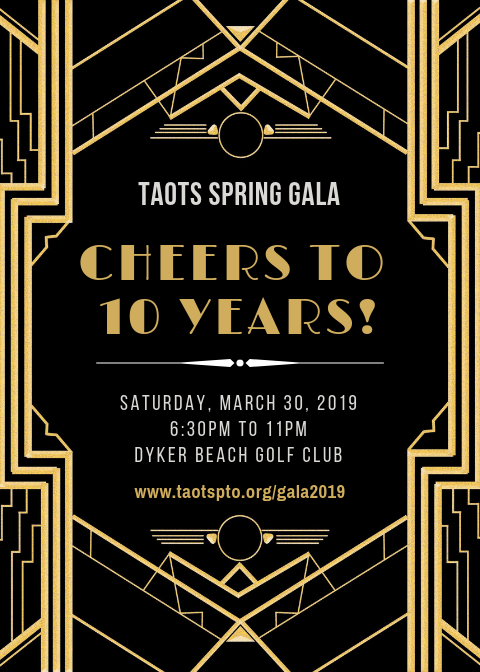 The PTO of TAOTS will be hosting its annual Spring Gala on Saturday, March 30, 2019 at Dyker Beach Golf Course. 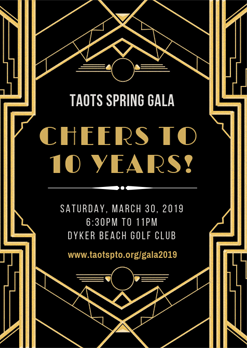 The event will be a celebration of a decade of dedication, inspiration and enrichment at TAOTS. All proceeds from the event will go towards enhancing the education and experience of our students. "Here at TAOTS, we have high expectations for each of our students. As we embark on our educational journey each year, we continue our commitment to your child’s social, emotional and academic growth. As a community, we take pride in the quality education that we provide our students." TAOTS owes its rich history and success to its founding principal and our school simply would not exist if it were not for her vision, fortitude and tireless devotion to our school. CELEBRATING 10 YEARS OF TAOTS! It’s easy! Think of all the products you love and the places and online sites you visit regularly — restaurants, stores, summer camps, after-school classes, party locations, spas, supermarkets, toy stores and more. Just go to your favorite store, whether online or in person, and ask the store owner or manager if they would like to donate items or services to the school as part of our Gala auction. You can also donate experiences such as cooking lessons, music lessons or any unique talents that you would like to share. Families, friends and supporters can also support the gala by placing an advertisement in our full-color Gala program book. Help us find business owners who want to increase their visibility through one of several levels of sponsorship and enjoy other benefits like inclusion on our step-and-repeat banner and swag bag, a full-page ad and verbal recognition during the event. How to solicit donations for the gala.